India’s balance of payments situation had deteriorated sharply by the end of 1990. Even as attempts were being made to obtain normal and extraordinary funding from multilateral institutions, private banks and other market players were also being approached. With frequent changes in government, the responsibility of the RBI increased. Governor S. Venkitaramanan was so active that he was described by an economic daily as “lone (loan) ranger”. In the course of talking with various market players, one question that came up frequently was: What was India doing on its own to tide over the crisis? The implication was simple. India had a fairly large stock of gold as reserves. Why could not India use it? This was not outside the thought of the RBI as well. Several steps were being taken to activate the banks’ gold holding. The first step was to revalue the gold holdings at market price. This was done by the government through an ordinance in October 1990, which was later approved by Parliament. In January 1991, the State Bank of India proposed to raise foreign exchange through the lease of gold held by the government. In April 1991, the government agreed to the proposal to utilise 20 tonnes of confiscated gold and raise foreign exchange. The gold was dispatched in four consignments in May 1991. This was actually executed in the form of sale with a repurchase option. The RBI was totally involved in this arrangement. But this was not enough. The RBI was thinking of how to use its own gold to tide over the crisis. In using the RBI’s gold, there were three sets of issues to be cleared. First, at the policy level, a decision was needed: Given the sentimental attachment to gold, it was felt from the beginning that outright sale of gold was not an option. Pledging gold and raising a foreign exchange loan was the only thing contemplated. Second, whatever was to be done had to be consistent with the provisions of the RBI Act, 1934. Under the act, the RBI could borrow only from other currency authorities. Third, there were issues connected with the physical task of selecting, packing and sending out gold. It bristled with many problems. 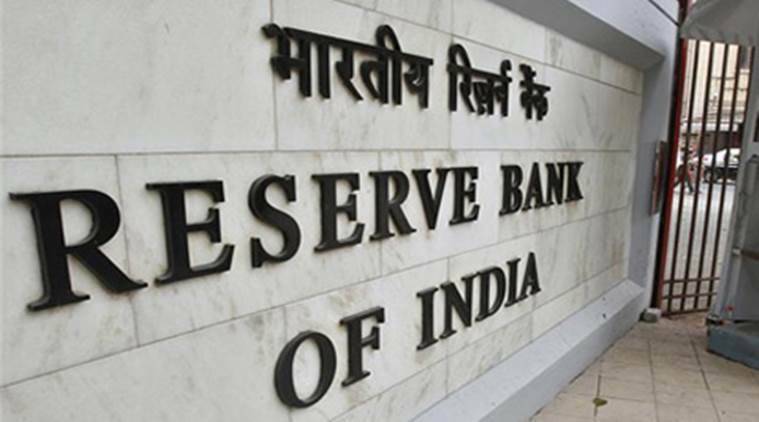 The advice of the RBI for pledging gold to raise a foreign exchange loan was accepted by the government. It was a bold decision by a government which at that time was only a caretaker one. Governor Venkitaramanan and I visited several central banks to sound out how far they would be helpful. The Bank for International Settlements (BIS) had to be ruled out because it was not strictly a “currency authority”. It turned out that the Bank of England and the Bank of Japan were two central banks who were willing. But both institutions insisted that the pledged gold must be kept outside India, despite India being a depository country under the IMF. The RBI Act does permit keeping of gold outside India but with some restrictions. To conform to the provisions of the act, with respect to borrowing, the RBI had to transfer the asset from the Issue Department to the Banking Department and this was done before transshipping gold. Since the RBI is permitted to borrow only for a month, the borrowing had to be rolled over from month to month. The third set of issues relating to the shipment of gold turned out to be more arduous than expected. Since the quantity of gold to be pledged was around 50 tonnes, it was decided to use the gold that was in stock in Mumbai. The gold in stock was in various forms. Not all of them satisfied the London Good Delivery (LGD) specifications in terms of fineness and weight. It was decided to send pure gold bars as they were and the Bank of England was entrusted with the responsibility of converting the non-LGD bars into LGD bars. Packing, insuring and finally sending the gold through airlines had to be done in a short span of time without attracting much attention. This was an operation in which various departments of the RBI, such as the External Investments & Operations (DEIO), Issue, Banking Operations and Legal had to come together and act. P.B. Kulkarni, the chief of the DEIO, and his band of devoted colleagues did a tremendous job. In all, 46.91 tonnes of gold were dispatched in four consignments by air, beginning July 4. The largest consignment was the second one, which had to be transported through a chartered carrier. It is interesting to note that the actual dispatch happened after the new government led by P.V. Narasimha Rao and Manmohan Singh (as finance minister) took over. The new FM raised no objections and he, in fact, defended the action in Parliament. The loan raised against the pledging of gold was repaid by November 1991. However, that gold was not brought back but kept abroad. The entire episode was not without its drama. For example, when any commodity is sent out of the country, the nature of the commodity has to be declared. I spoke with the commissioner of customs and a special authorisation from the finance ministry was obtained to send the gold without such a declaration. As one of the consignments had an intermediate stopover, a sudden doubt arose whether this was covered by insurance. On a Sunday, I had the office opened to check the policy and was relieved to find that it had a “Vault to Vault” insurance cover. Finally, when the gold was moved from the vault of the Bombay office to the airport, the movement along the road was closely monitored. In the case of one large consignment, the bullion van had to stop because of a suspected tyre burst in one of the cars in the convoy. Fortunately, before much commotion could happen, the convoy resumed. The total loan raised against the pledge of gold was $405 million. Today, it may look small, but this amount was crucial to prevent a default at the time. There was no intention on the part of the RBI or the government to hide the transaction from the public. The RBI wanted to make it public once the operation was over. The shipment of gold made everyone aware of the enormity of the crisis facing India, and paved the way for economic reforms. The writer is a former chairman of the Economic Advisory Council to the Prime Minister and a former governor, Reserve Bank of India.